Pasta or as we mostly call it here in Nigeria, Spaghetti.Pasta started all in Italy in the 1200 and once in October 2010 in Japan, a man made the longest pasta 12,388ft(approx.2.35miles). So you think you know your pasta? 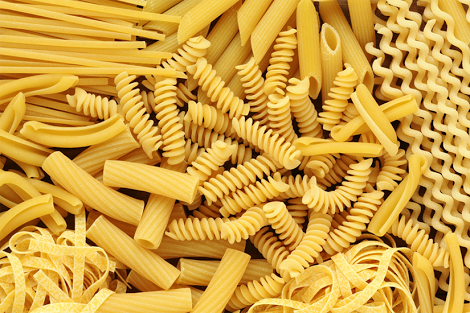 Here’s a couple of things you didn’t know about pasta. 1.Pasta was originally made by hand and it wasn’t until the 18th century that the first pasta making machine was designed by Cesare Spadacinni, at the request of Ferdinando II, The King of Naples. It was made of bronze and attempted to replicate the kneading movements of the human pasta makers. 7.it’s almost impossible to see an Italian man(both male and female) eat pasta with a spoon.